In 1585, Catholic Spain ruled by King Philip II of Spain (Jordi Molla) is the most powerful country in the world. Seeing Protestant England as a threat, and in retaliation for English piracy of Spanish ships, Philip declares war. He plans to take over England and make his daughter, Isabella, the Queen of England in Elizabeth’s place. 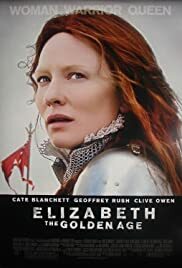 Meanwhile, Elizabeth I of England (Cate Blanchett) is being pressured by her advisor, Francis Walsingham (Geoffrey Rush), to marry, for if she dies without an heir, the throne will pass to her cousin, Mary, Queen of Scots (Samantha Morton), who is Catholic. Therefore, the Queen is presented with portraits of appropriate suitors, particularly the very youthful Charles II, Archduke of Austria (Christian Brassington), who has become infatuated with the her. However, she refuses to marry any of them. 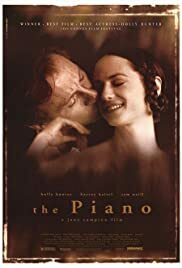 English explorer Walter Raleigh (Clive Owen) is presented at Elizabeth’s court, having returned from the New World, and he offers her potatoes, tobacco, two Native Americans, and gold from a Spanish ship that he claims was “unable to continue its journey”. Elizabeth commands that the Native Americans be treated well and refuses to accept the gold. 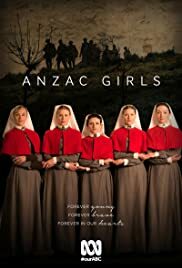 Based on the actual events that inspired author Peter Rees’ popular novel of the same name, the Australian mini-series Anzac Girls tells the story of a group of idealistic young nurses who must summon great courage to endure the horrors they see while treating soldiers wounded in Gallipoli. Arriving in Egypt to serve in World War I, a group of idealistic young Australian and New Zealand nurses are full of romantic notions. All too soon, however, they are faced with convoys of the dead and wounded from the doomed Gallipoli campaign. 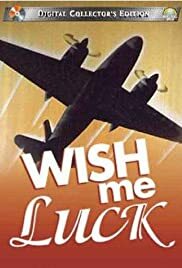 Realizing that war is not quite the splendid adventure they thought it would be, they rise to meet the challenge, finding love, heartbreak, and lasting friendship along the way. During Britain’s tumultuous 15th century, the battle for supremacy between the houses of Lancaster and York leads to a protracted civil war. This historical drama spotlights three women who become deeply involved in the royal intrigues of the era. Set against the backdrop of the Wars of the Roses, the series is the story of the women involved in the protracted conflict for the throne of England. 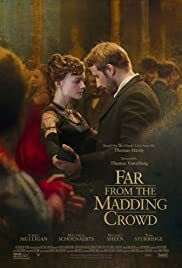 It starts in 1464—the nation has been at war for nine years fighting over who is the rightful King of England, as two sides of the same family, the House of York and the House of Lancaster, are in violent conflict over the throne. The story focuses on three women in their quest for power, as they manipulate behind the scenes of history—Elizabeth Woodville, Margaret Beaufort and Anne Neville. Woodville is the central character in the novel The White Queen, whilst Beaufort and Neville are the focus of the novels The Red Queen and The Kingmaker’s Daughter respectively; however, all three characters appear in all three novels that went to make up the television series. 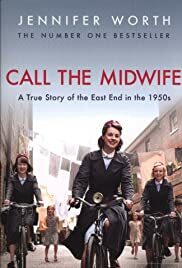 The plot follows newly qualified midwife Jenny Lee, and the work of midwives and the nuns of Nonnatus House, a nursing convent, and part of an Anglican religious order, coping with the medical problems in the deprived Poplar district of London’s desperately poor East End, in the 1950s. The Sisters and midwives carry out many nursing duties across the community. However, with between 80 and 100 babies being born each month in Poplar alone, the primary work is to help bring safe childbirth to women in the area and to look after their countless newborns. 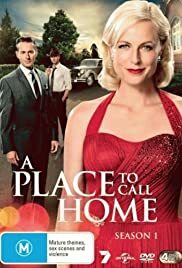 From the creator of Packed to the Rafters comes the sweeping and romantic drama A Place to Call Home. 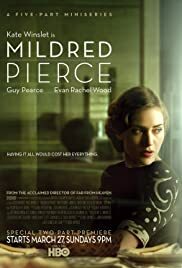 A major 6-part drama, set in former luxury hotel turned Union Army hospital in Virginia during the Civil War. Inspired by memoirs and letters from the era, nurses and doctors struggle to save lives while managing personal hardships. 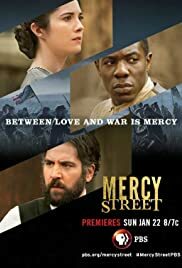 Mercy Street follows the lives of two volunteer nurses on opposing sides of the Civil War New England abolitionist Mary Phinney and Confederate supporter Emma Green. The Green family’s luxury hotel in Alexandria, Virginia, has been transformed into Mansion House, a Union Army hospital tending to the war’s wounded. Inspired by memoirs and letters from real doctors and nurse volunteers at Mansion House Hospital, this new drama reveals the stories of those struggling to save lives while managing their own hardships.